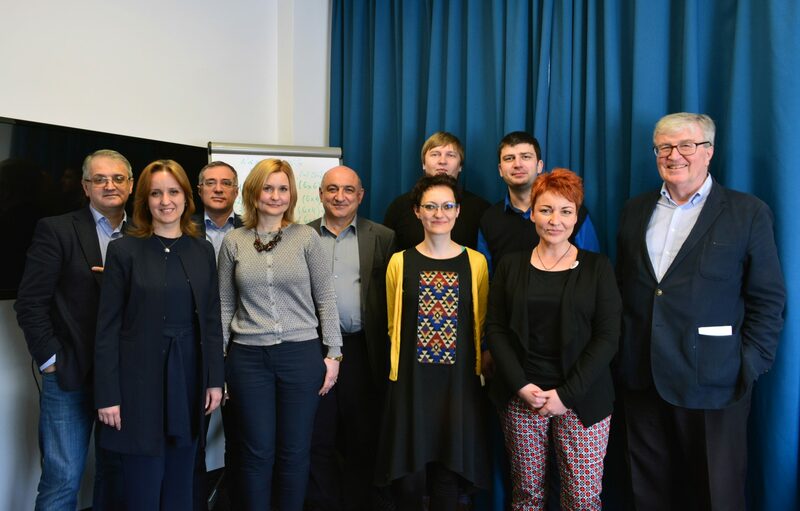 On 12-13 April, the EaP CSF Steering Committee gathered in Minsk for the first time to discuss the pressing issues and meet with the Belarusian National Platform (BNP). During the first day of the meeting the Steering Committee was deliberating on how to improve the efficiency of the Forum and achieve lasting impact. Furthermore, the actions and messages for specific policy campaigns, as well as the EaP CSF image campaign around its 10th anniversary were elaborated. The revised process for the selection of the Annual Assembly participants, internal reform proposals presented by the consultants, upcoming meetings of the Working Groups, and the re-granting process became the main issues discussed on the second day. The Steering Committee members shared their views on the state of the Eastern Partnership, the situation in Belarus and the priorities for 2018 with the members of the Belarusian National Platform. At the meeting Andrei Yahorau, Director of the Center for European Transformation, outlined the main points on the developments in the EU-Belarus relations. He noted the deplorable trend of decreasing EU transformation ambitions while stressing that the civil society is working towards the ultimate goal of the European integration. According to the expert, the role of the EaP CSF is to insist on tangible reforms, not just symbolic steps. The Forum was mentioned in all the EaP Summit’s Declarations however it needs to be among implementers of the 2020 EaP Deliverables. Unfortunately, the government is not committed to the bona fide implementation of the roadmaps on human rights and rule of law. The members also spoke to the independent Belarusian TV channel Belsat TV about their vision of the civil society’s place in the Eastern Partnership, the lessons the Belarusian civil society can learn from their colleagues in Georgia and what the experience of Azerbaijani civil society can mean for them. The next Steering Committee meeting will be held in Brussels, Belgium in July.